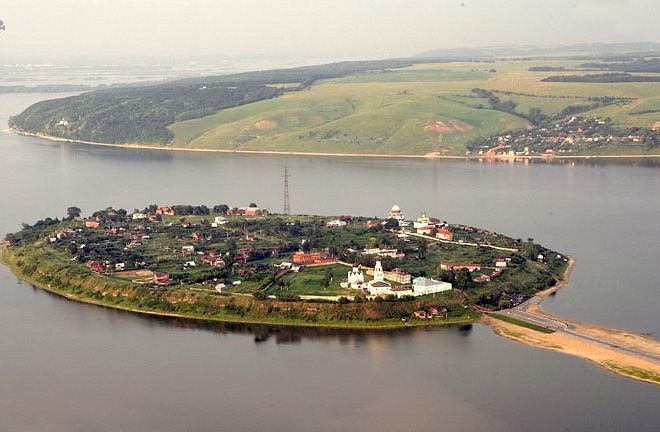 Sviyazhsk Island is located in the picturesque estuary of Sviyaga on a high hill area of 62 hectares, 30 kilometers from Kazan. The abundant nature surrounding shallows, inlets and islands since ancient times attracted people. Later Sviyazhsk fate was such that a small area of the island blew events associated with the most important moments of national history. 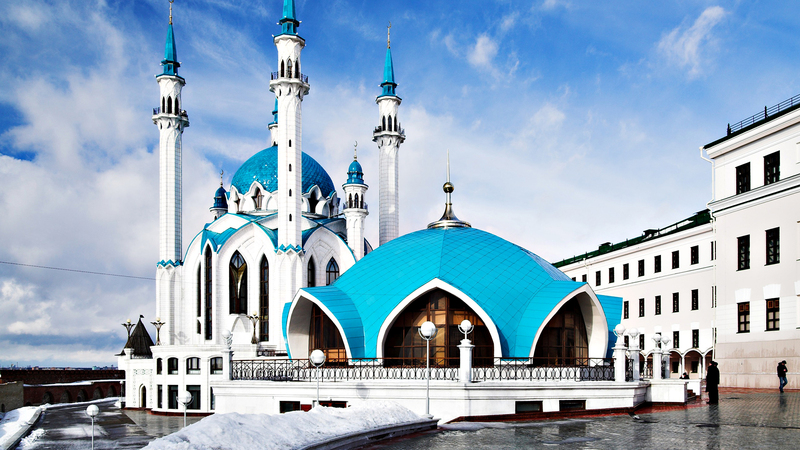 Sviyazhsk is known since the XIII century, initially as the location of the pagan rituals. Founded in 1551 the city and the monasteries several centuries it was the All-Russian Orthodox shrine which attracted many people from different parts of the country. Here were created architectural masterpieces and have become significant or unique monuments of history and culture. After 1917, in Sviyazhsk started repressions. During the civil war in 1918, under fierce fighting taking place Sviyazhsky, chairman of that body of Soviet Russia Leon Trotsky introduced here first in the Red Army decimates — shot every tenth man, fencing squads. Since the late 1920″s Sviyazhsk was a place of isolation of prisoners, a branch of the GULAG`s. It comes in a desolate, destroyed and desecrated the church shrines, monuments of history and culture. In the monastery on the island is located a mental hospital. Only in 1960 Sviyazhsk was declared as a monument of Russian history and culture, and after two decades included in the draft list of such monuments of the Soviet Union. Now the island Sviyazhsk included in the provisional list of cultural and natural heritage of UNESCO. 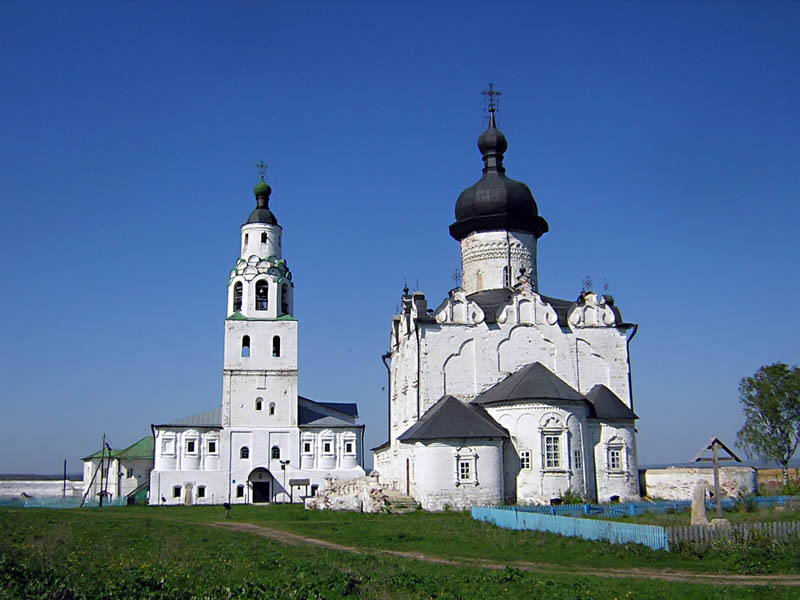 In 1997, the management of Kazan Orthodox diocese was transferred to Uspenskiy Bogoroditskiy monastery, called to revive the ancient castle, to bring to the restoration of monuments of history and culture of restorers, to raise from the ruins of the island — relic. 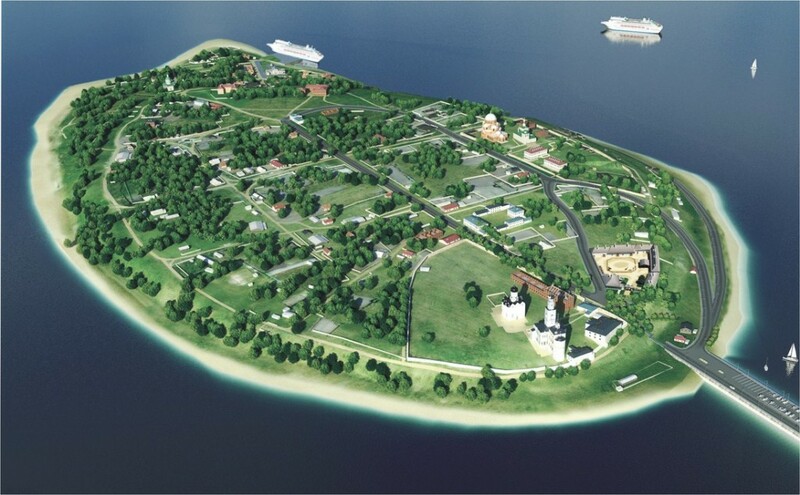 At the same time Sviyazhsk acquiring the status of the island-town, next year, approved the concept of its revival. The revival of the island-town should become familiar — repentance, respect for one»s own culture and history, no matter how evolved. The revival of spirituality may be based not on destruction but on the creation.